The castle notebook is just gorgeous! I love the cookie jar too, Disney items are just too cute. Impossible to resist them! 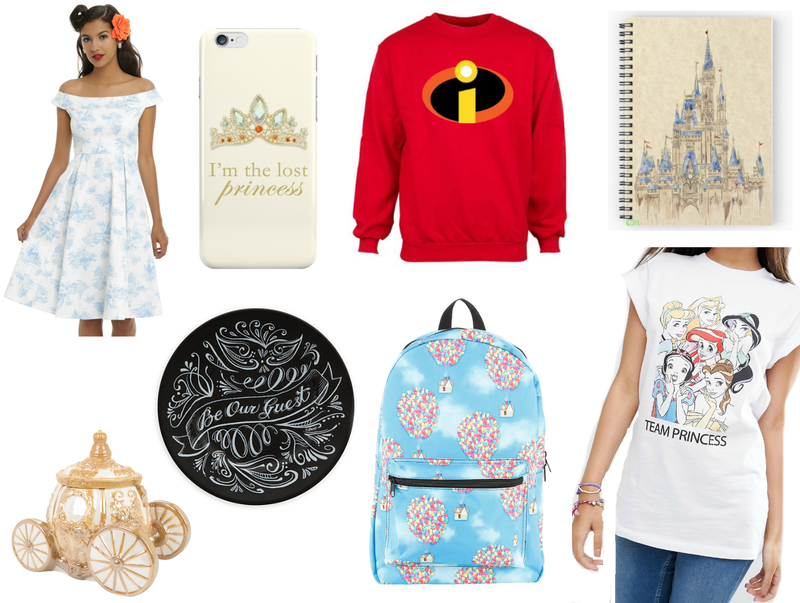 Love the iPhone case and Disney princesses t-shirt! That dress is absolutely stunning too - you can't beat a bit of Disney..
That is the most beautiful cookie jar I have ever seen! I need one in my life ASAP. Your wishlists are always filled with the best things! I love the cookie jar and the Incredibles top! I love Cinderella's Carrige cookie jar. *w* So cute. The dress is so pretty! I love the pone case too!